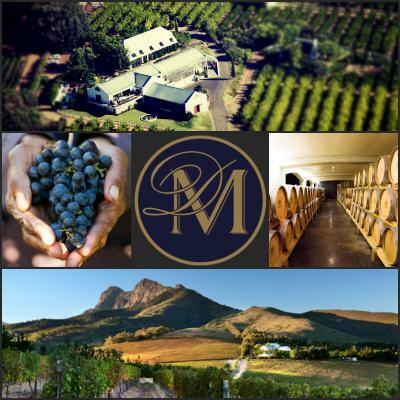 Lock in a great price for Marianne Wine Estate - rated 8.7 by recent guests. The breakfast was very good, not large variety but it had what it needed (though we were told that there was no coffee as the coffee machine had just broken-a second one might be necessary). The estate was beautiful, we loved all of it. Beautiful rooms and lot's of personal care and attention. Lovely breakfast and we can also recommend the restaurant. The staff were absolutely brilliant. We arrived for check-in and while the lady who greeted us was busy they sat us in the restaurant with wine/coffee with an amazing view and then checked us in at a time which suited us. Very friendly staff they couldn't do enough to make us feel welcome. 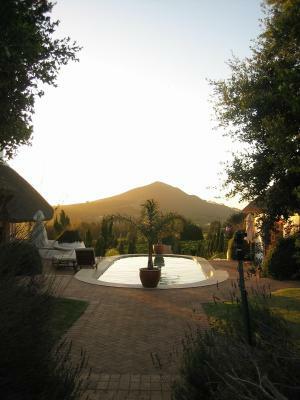 We stayed only one night in the Marianne Wine Estate Guesthouse but what a joy it was. The estate itself is beautiful, the apartment we have was spacious and the surroundings as well. The only downside maybe was the pool for kids: it's a little hidden and far less beautiful than the pool for grownups. Our boys would rather have used the latter. The wine tasting room, also used for breakfast, can compete with some of the best we visited in in France. A real pleasure was also the trip through the fields to the restaurant which is set-up in a separate building on the premises. I can easily advise anyone traveling alone, with a partner or with kids to do a stop over here. Last but not least to taste some delicious wines they have over there and the generous and friendly way they serve it. Fantastic check-in experience and although the property and booking didn't tally with what we had booked, we were assigned very nice rooms in a separate building. Building is newly booked in a contemporary style. They recived us with sparkiling wine maid in their vineyard. The room was big and comfortable. The bathroom is really nice. Everything is clean. Since we were staying with them we had free wine tasting in their vineyard. Very good! The breakfast is very good, loved the muffins! Best I ever had! We liked everything, from the staff to the location to cleaness...we loved every single thing at the estate. It was really exceeding our expectations! 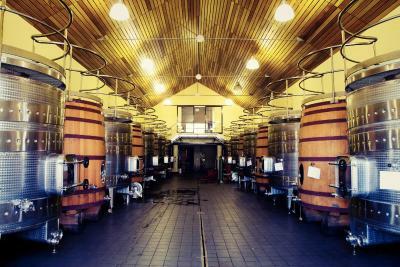 Marianne wine estate is a short drive from Stellenbosch, its situated on a wine farm, we enjoyed walking on the farm and to the restaurant. We enjoyed the pool on sunny days and the peaceful afternoons, sunsets. We had a spacious room, beautiful bathroom, the décor in the rest of the house was stunning as well as the view from the dining room. 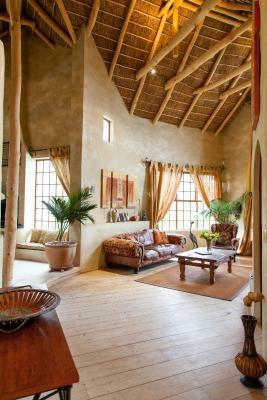 One of our top picks in Stellenbosch.Marianne Wine Estate's Manor House and Loft Apartments are Cape-Dutch inspired. 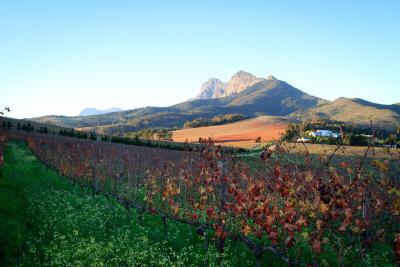 It is set on the slopes of the Simonsberg Mountain, tucked away amongst citrus orchards, gardens and manicured vineyards. 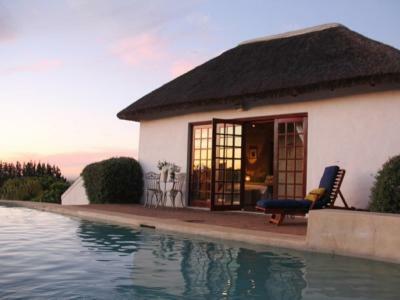 One of the two outdoor pools offer panoramic views of the Cape Winelands and Table Mountain. 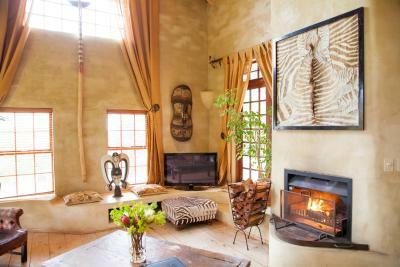 Each room is elegantly decorated with original African art details. It offers a high level of privacy and certain rooms feature a private terrace or look-out deck. 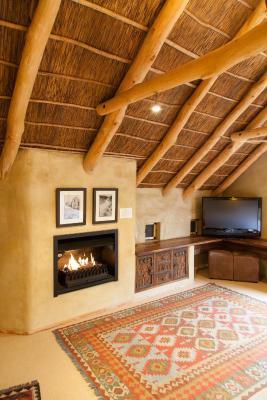 Marianne Estate is located alongside a private game reserve and is surrounded by Pine trees. 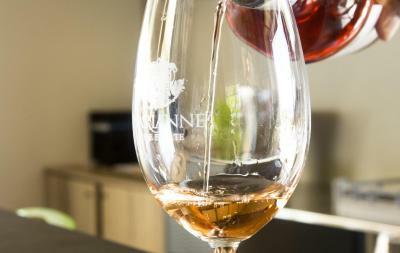 It boasts award-winning wines which can be enjoyed on the terrace. Marianne Estate is a 40-minute drive from the Cape Town city centre and a 30-minute drive from Cape Town International Airport. Free secure parking is available on site. 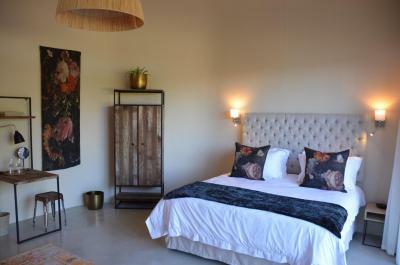 Marianne Wine Estate has been welcoming Booking.com guests since 22 Mar 2011. 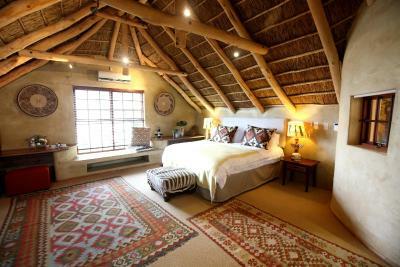 When would you like to stay at Marianne Wine Estate? 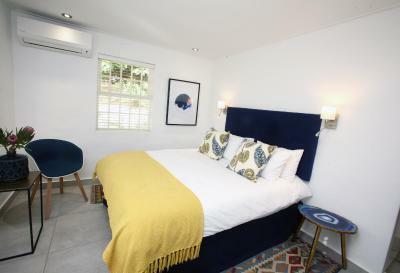 Located in the manor house on the wine estate, this room has access to the communal lounge and terrace areas of the house and comes with an en suite bathroom which contains a bath only. 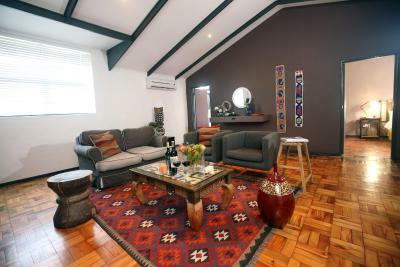 This spacious, air-conditioned room has high ceilings and includes a satellite TV, desk and living area. It features a private deck with a table and chairs. 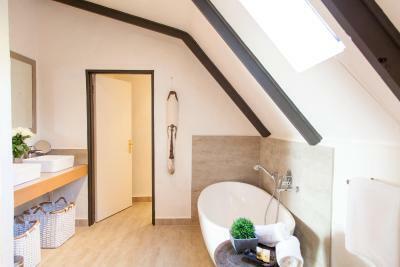 The modern bathroom contains a large shower and freestanding bathtub. 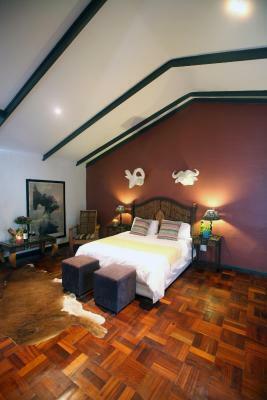 This more spacious suite occupies all of the first floor of the Manor House. 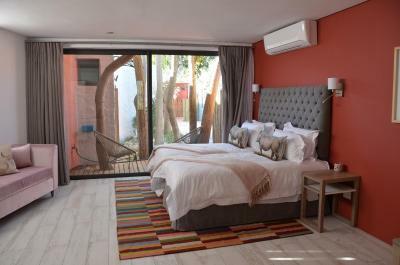 It features a large bath, an outdoor balcony shower and views of Table Mountain. It includes a dressing room. This villa has a kitchen, bathrobe and fireplace. 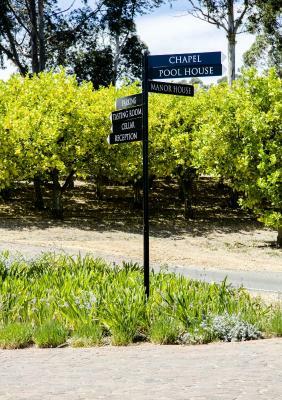 House rules Marianne Wine Estate takes special requests - add in the next step! Up to two children under 12 years are charged ZAR 200 per night when using existing beds. All children under 16 years are charged ZAR 200 per night for extra beds. 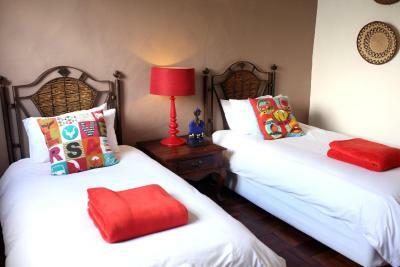 All further older children or adults are charged ZAR 200 per night for extra beds. 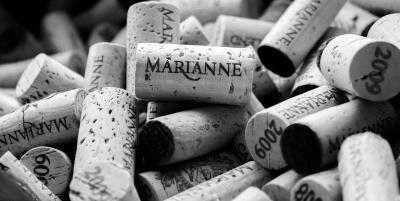 Marianne Wine Estate accepts these cards and reserves the right to temporarily hold an amount prior to arrival. 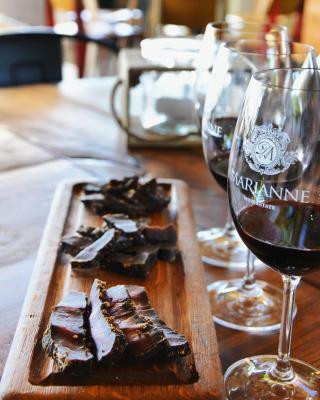 Please inform Marianne Wine Estate in advance of your expected arrival time. You can use the Special Requests box when booking, or contact the property directly with the contact details provided in your confirmation. We had booked the honeymoon suite, which is a unit on its own, isolated from the rest of the buildings with nice views to the vineyards. However, when we arrived we were taken to a secondary building and to a plain room with no view whatsoever. We were told that the reason for the change was that they recently had a problem with worms in the honeymoon suite that they could not get rid of as it is located within the vineyards. When we asked why we were not informed in advance for the change we were told that they had also prepared the suite for us and as the worms are harmless, if we wanted we could stay at they honeymoon suite despite the problem. When we were taken there we found the suite in a very dirty situation. It was obvious that this was not a recent problem, however, they failed to let us know in advance so that we could have the chance to cancel the reservation. In general, the property gave the impression of bad management with not enough personnel. The next morning people were also having their wine tasting while staff were cleaning the floor in front of them! Although there is a restaurant on the premises we would have appreciated a bar/coffee shop closer to our lodging. Some room attention needed like getting rid of the ants, Dixon the drainage so the shower water doesn’t flood the room. Reception staff weren’t very polite. 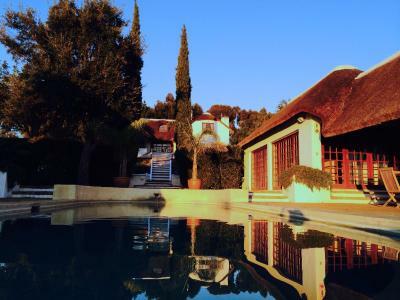 Beautiful estate, quiet, great views, lovely guesthouse with impeccable decor and comfort. Nice restaurant, delicious food. Free wine tasting included. The breakfast could be better. The room looked better and newer in the pictures. Great place with a wondeful garden and landscape. We had an en-suite guestroom without an air conditioner or window, this make the room very hot and uncomfortable to sleep during the warm nights. The kitchen staff very noisy in the mornings and did not take in consideration that the guests were still sleeping. Unfortunately the breakfast portions are rather small. The menu said we would get a smoothie or fruit to our menu as well, but that was never provided. The place feels a little anynymous as the reception was always empty (maybe because of the weekend or because we were in the extra guest house?) At one point we stood in front of a closed door and couldnt get back in...the night guard wasn't around to help us with the door which was shut. The pool was dirty so we didn't feel like swimming in it. The wine tasting took us at least 2 hs as the lady let us sit with our wine for ages... Stellenbosch is a 15min drive away, no other supermarkets close by, so you better plan what you have for dinner early enough. We were sleeping in an extra guest house, which was super luxurious! Our room was big and super modern. Had an outdoor shower as well! A bottle of sparkling wine waited for us as we arrived. The place has a pool as well. Also had a nice wine tasting included. The view from the terrace over the vinyards was just beautiful. Breakfast was good as well...you choose your menu out of three options. Everything is very well kept. The restaurant, which belongs to the wine estate, was close by and food was good! The place with its vinyards and fruit trees is absolutely beautiful and perfect for relaxing!